Word connect 3 is available ! here you can find the solver of this amazing word game developped by Second Gear Games ; found here the solution of word connect 3 level by level. The game has 28 levels, each one contains 5 crosswords game related to the picture, you must find 5-7 words related to the photo. Many answers are easy to find but everybody could stuck in one or another pic. 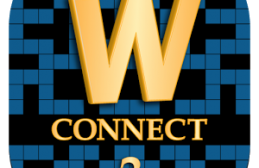 So you will find in this dedicated topic all the answers that you need to solve all levels for the game word connect 3 .